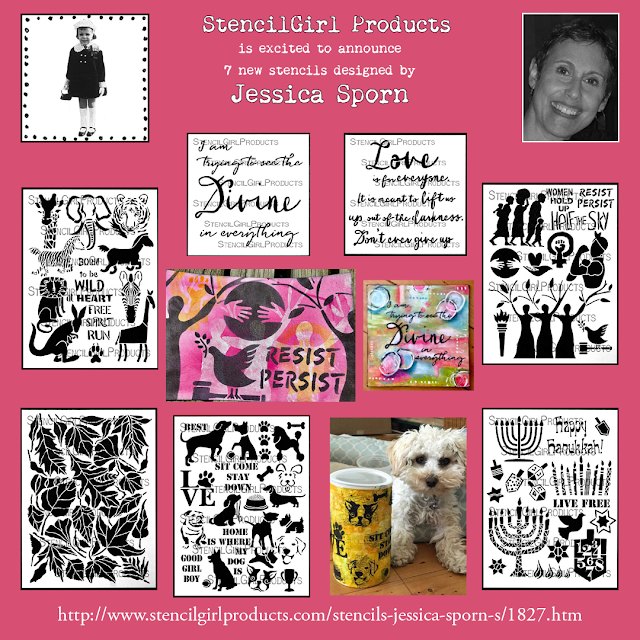 StencilGirl Talk: A Variety of New Stencils Designed by Jessica Sporn! 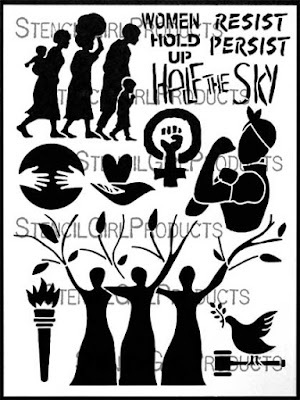 A Variety of New Stencils Designed by Jessica Sporn! 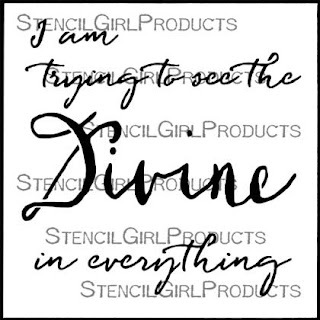 Stencil Girl is pleased to offer new stencils designed by Jessica Sporn. 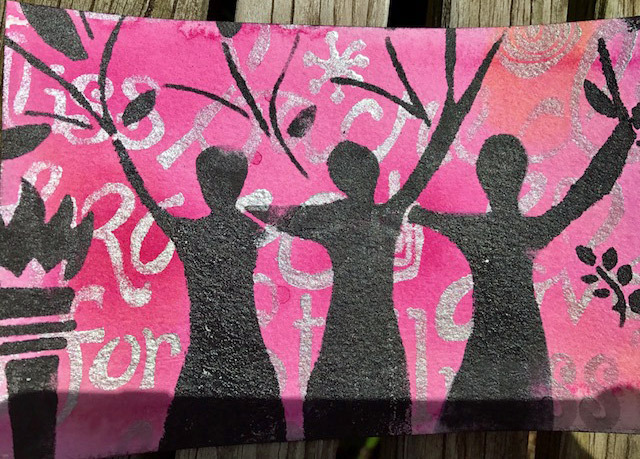 The empowered women and symbols in Jessica's Women Will Heal the World stencil are all about social justice and sisterhood. Inspire your art with the words of Jessica’s Love is for Everyone Script stencil. 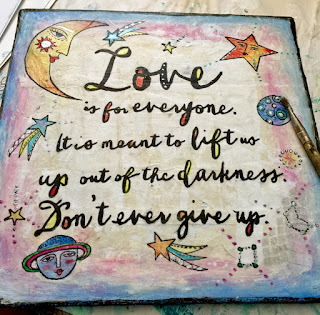 Feeling blue or know someone who is? 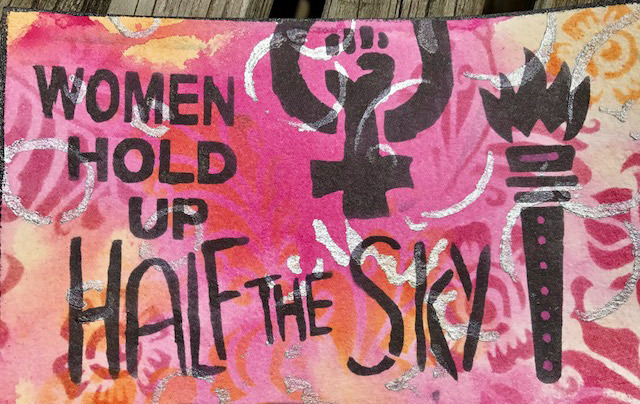 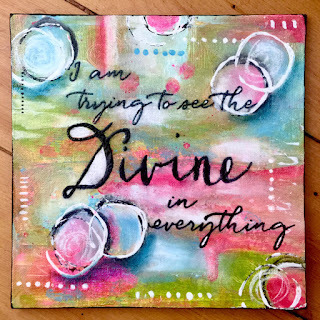 You can use the sentiment of Jessica’s See the Divine in Everything stencil to make art and help hasten brighter days. 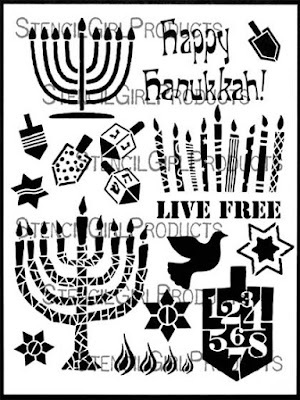 Jessica's Hanukkah Stencil features the Star of David in several artistic styles, both mosaic and unadorned Menorahs, a separate set of patterned candles, the words Happy Hanukkah and LIVE FREE, a dove, eternal flames, and several dreidels for play. 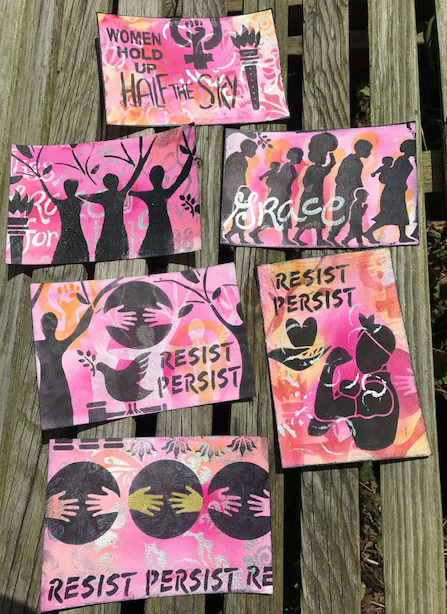 Fetch Jessica's Dog Stencil with Masks into your home and you’ll be able to showcase man’s best friend in your own crafty fashion. 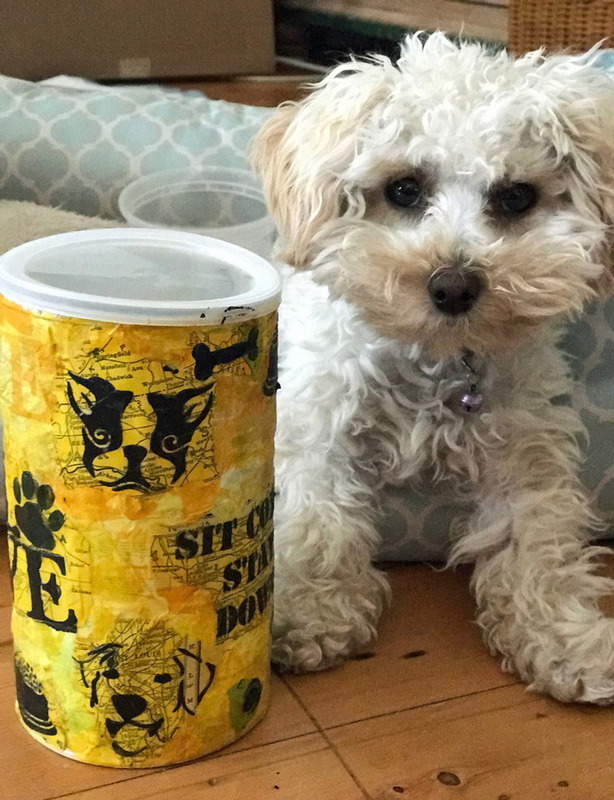 Nimby is diggin' her new treat jar! 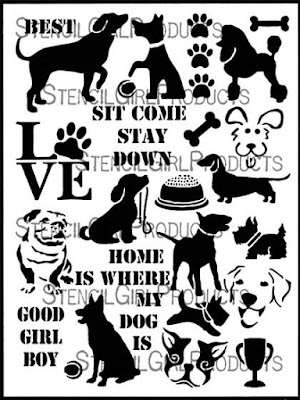 4 stylized dog silhouettes (masks) are included: a Poodle, a Dachshund, a Beagle, a German Shepherd, and a Labrador. 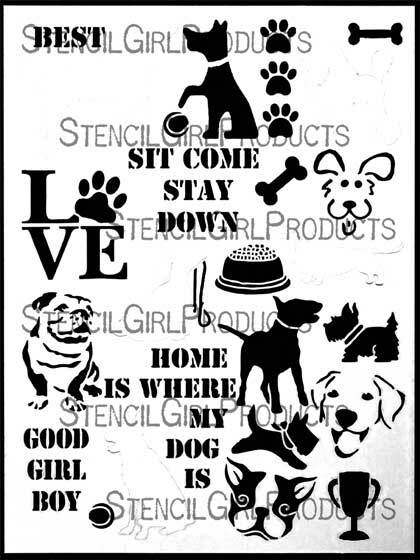 Stylized dogs in the stencil: one Terrier/Schnauzer standing and one running, a Bull Terrier, a Labrador, an English Bull Dog, and a dog sitting with its paw raised. 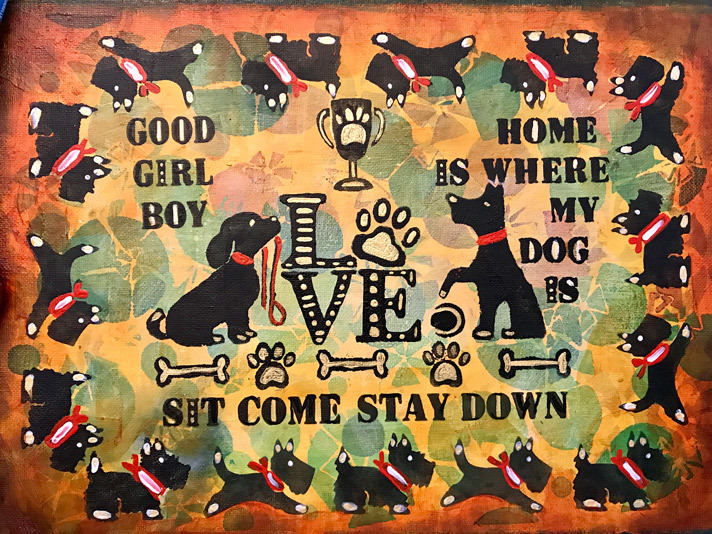 There are 3 dog faces, a bowl of food, an award cup, bones, paw prints, dog toys, and the words love, home is where my dog is, best, good boy girl, sit, come, stay, and down. 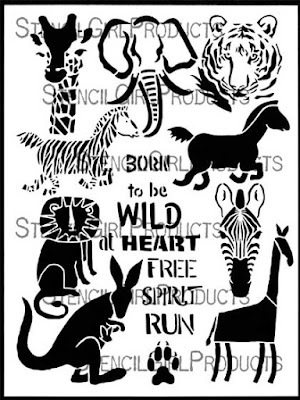 Run wild and free on the savanna of your art journal with Jessica's elephant, lion, tiger, giraffe, zebra, antelope, and a kangaroo that hopped into the mix! 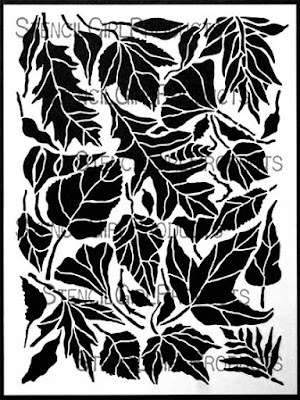 There are many different kinds of veined leaves within this stencil if you wished to mask off a particular type. 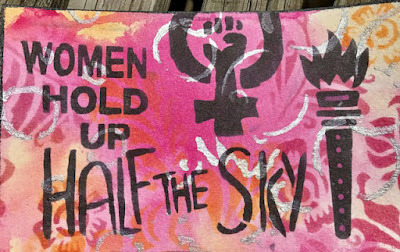 It is shown below paired with Women Will Heal the World. 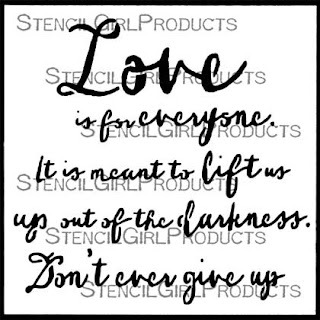 You can find out more about Jessica on her website and obtain all of Jessica's stencils HERE. 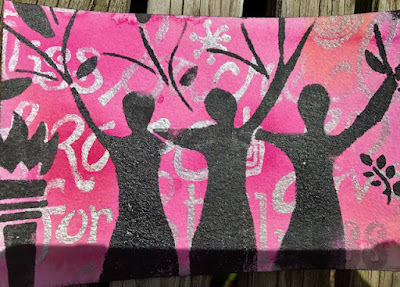 Love these stencils, especially Nimby!!! 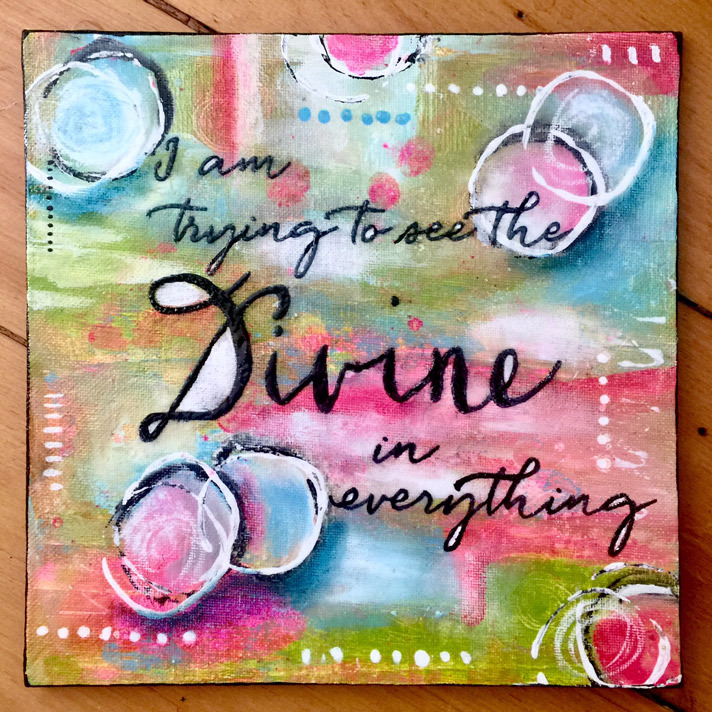 My granddog. 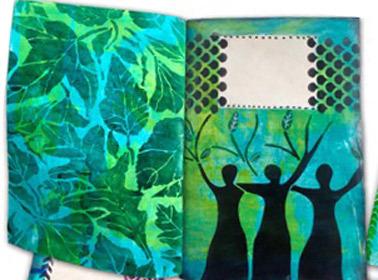 Again fabulous designs Jessica! 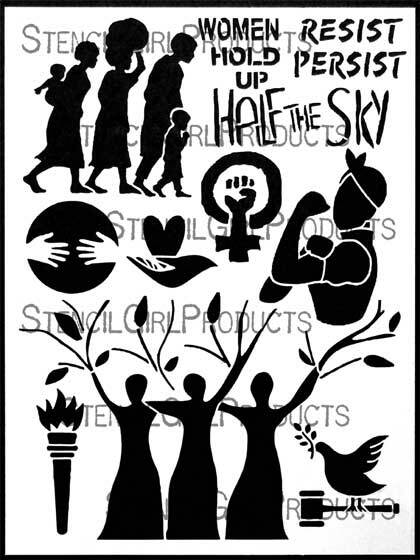 I can see all kind of possibilities to use these!